We believe you deserve more from your tax company than unqualified help and surprise fees. So, stop paying the other guys to claim your unemployment (1099-G form) or your student loan interest (1098-E form). Get fair tax prep because #Block has your back. There’s no need to wonder how much tax prep will cost. 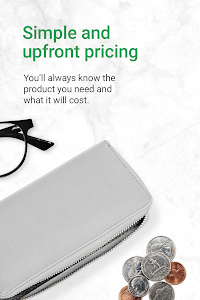 Upfront pricing means you always know what you’ll pay. Get the convenience of on-the-go access to work virtually with our tax pros using Ask a Tax Pro and Tax Pro Review. Don’t settle for second-rate tax services. When you have the trusted leaders in tax on your side, you can be sure you’re getting an accurate return and your maximum refund – guaranteed. Discover how tax reform affects the federal IRS forms you need and what deductions you can claim on your state return with step-by-step guidance at your fingertips. 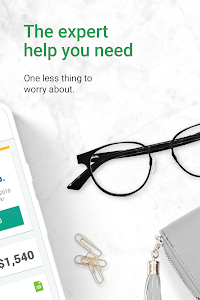 Itemize deductions, import 1099s from financial institutions and Uber, or automatically add the self-employment expenses you’ve been tracking in Stride. 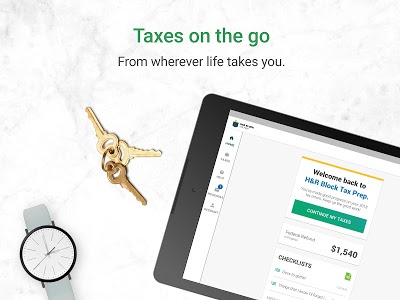 Whether you have simple or complex taxes, we do the work for you – this app is for everyone. • Stride integration. Upload 2018 self-employed expenses you’ve tracked with Stride right into our tax app. • Direct 1040 PDF access. After filing, your 1040 PDF is just a tap away. Look for the new button on the homepage after sign-in. • E-file Quick Look. 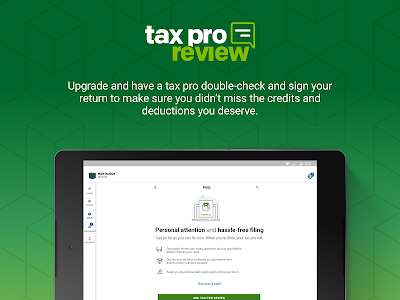 Get return status updates delivered straight to the Tax Prep App homepage. 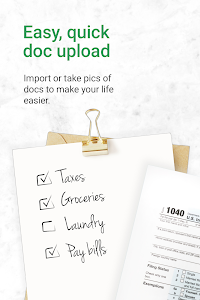 • Take a pic or upload PDFs of your tax docs. Import docs important to you (like last year’s 2017 return from any service, your W-2 or 1099) during tax prep to jump-start your taxes and make filling out forms quick and easy. • One-tap help. Our Help Center is stocked with answers, advice, and assistance from the best tax preparers in the business – and it’s just a tap away. • Taxes on-the-go, from wherever life takes you. 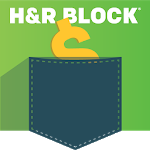 If you’re a returning H&R Block client, sign in with your existing account, and we can add all the info from last year’s return. New to Block? Create an account and save all your work as you go. 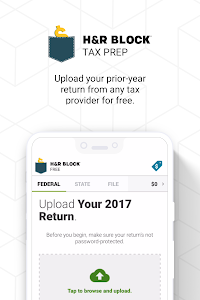 You can prepare and file your 2018 return in-app or sign in on any device to pick up where you left off. • We ask, you answer. 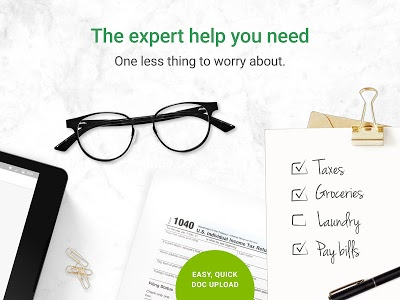 Our easy, Q&A approach makes tax prep quicker and easier to understand. As your tax situation changes, we’ll let you know – and add the forms you need to make sure your return is accurate and that you get your maximum refund. • Tax Pro Review helps you work with a tax pro remotely. 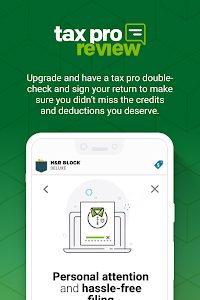 Your tax pro will double-check and sign your return to make sure you didn’t miss the credits and deductions you deserve. 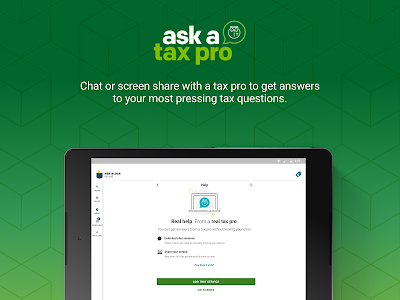 • Work one-on-one with a real tax pro using Ask a Tax Pro. You’ll get unlimited, on-demand help with chat and screen sharing. • Stay organized with in-app notes and checklists. Use these features to add notes about tax docs or and check items off your list to finish your filing. • Find the best product for you. We’ve got you covered with our Free, Plus, Deluxe, Premium, and Self-Employed tax products without ever leaving the app. Your privacy, security, and guarantees are important to us. 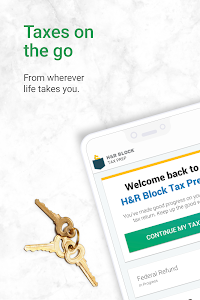 Please visit hrblock.com to learn more. • Convenient help: Have a pro at your fingertips. 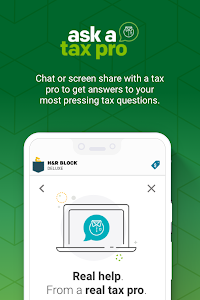 Work with your virtual tax pro from the comfort of your home or while you’re on-the-go with Ask a Tax Pro and Tax Pro Review. • Turn on enhanced two-factor authentication with Google Authenticator when you create or manage your existing account. 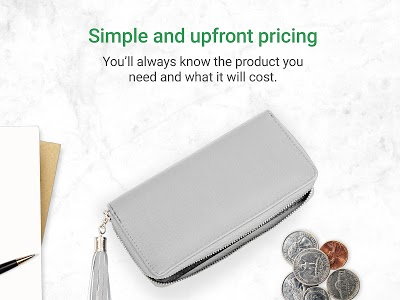 • Always know what you’ll pay with upfront pricing. Similar to "H&R Block Tax Prep and File"